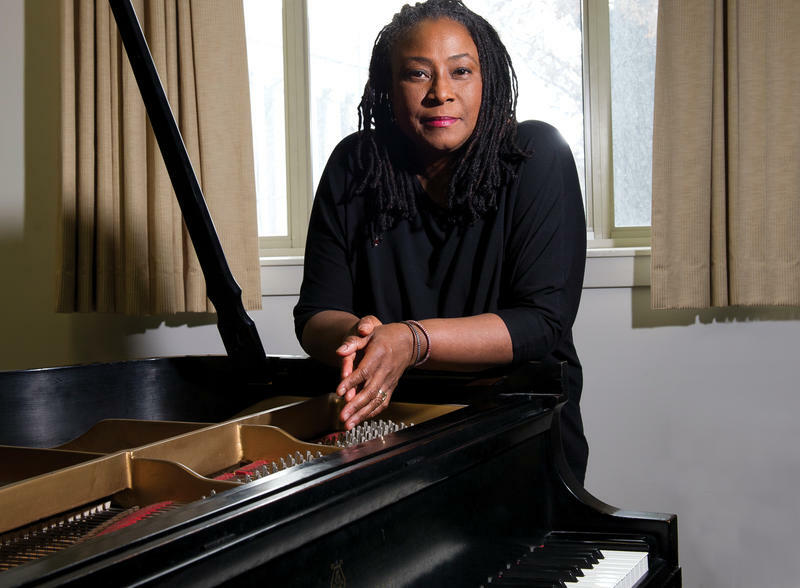 Geri Allen, a widely influential jazz pianist, composer and educator who defied classification while steadfastly affirming her roots in the hard-bop tradition of her native Detroit, died on Tuesday in Philadelphia. She was 60, and lived for the last four years in Pittsburgh. Allen’s solo piano work, from Home Grown in 1985 to Flying Toward the Sound in 2010, reveals an uncommon technical prowess and kaleidoscopic tonal range. The subtitle of Flying Toward the Sound claims inspiration from Cecil Taylor, McCoy Tyner and Herbie Hancock specifically, but on this and other recordings we hear Allen, unfailingly distinctive. From Home Grown, the track “Black Man,” with its looping, interlocking pulses and forward momentum, points clearly toward a rhythmic sensibility heard today from such celebrated pianists as Craig Taborn and Vijay Iyer. 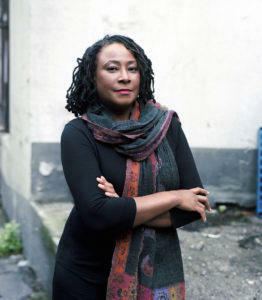 Geri Antoinette Allen was born on June 12, 1957 in Pontiac, Michigan, and raised in Detroit. Her father, Mount V. Allen, Jr., was a principal in the Detroit public school system, and her mother, Barbara Jean, was a defense contract administrator for the U.S. Government. Allen took up the piano at age seven and went on to graduate from Cass Technical High School, the alma mater of jazz greats on the order of Paul Chambers, Wardell Gray, Gerald Wilson and Donald Byrd. While in school Allen became a protégé of the late trumpeter Marcus Belgrave, who directed the Jazz Development Workshop and also mentored saxophonist Kenny Garrett and violinist Regina Carter, among many others. (Belgrave would go on to appear on Allen’s albums The Nurturer and Maroons in the early 1990s.) From another mentor, the late drummer Roy Brooks, Allen developed a deep love for Thelonious Monk, whose compositions she masterfully interpreted. Allen graduated from Howard University in 1979, as one of the first students to complete a jazz studies degree there. She earned an M.A. in ethnomusicology from the University of Pittsburgh in 1982. For part of a year she sustained herself touring with former Supreme Mary Wilson. In 1984 she debuted with The Printmakers, a tight, imaginative trio session with bassist Anthony Cox and drummer Andrew Cyrille. Soon afterward, Allen made a series of statements with the vanguardist M-Base Collective, spearheaded by Steve Coleman. She appeared on his debut album, Motherland Pulse, in 1985, and on several subsequent releases by his flagship band, Five Elements. Her own album Open on All Sides in the Middle, from ’86, featured Coleman in a bustling electro-acoustic ensemble, alongside other players including Belgrave and trombonist Robin Eubanks. Trio summits followed with Ron Carter, a fellow Cass Tech alum, and Tony Williams (Twenty One); with Haden and Motian (Etudes, Live at the Village Vanguard); and with Dave Holland and Jack DeJohnette (The Life of a Song). In each setting, Allen proved more than a virtuoso able to marshal the greatest rhythm sections; she was a musical partner with prodigious ears, motivated by the percussive energy of the avant-garde, the elusive unified spark of straight-ahead swing, and the expressive truth of piano balladry. 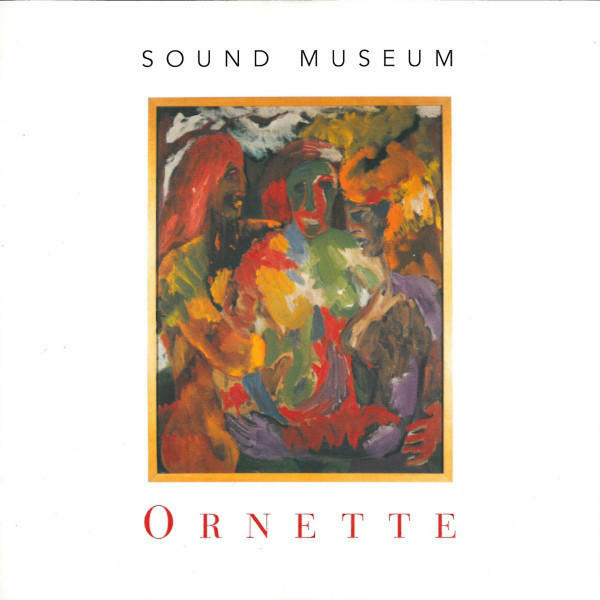 Allen’s 1996 encounter with Ornette Coleman, documented on the albums Sound Museum: Hidden Man and Sound Museum: Three Women, stands out in part for its historical significance: this was the first time since Walter Norris on Somethin’ Else!!!! in 1958 that an acoustic pianist had recorded with Coleman. The piano had little use in his free-floating music because it tended to impose a conventional chordal fixity. Not with Allen on the bandstand. She played a multifaceted textural and contrapuntal role, her ocean-deep harmonic knowledge guiding but never limiting her, from gorgeous and evocative rubato episodes to urgent free blowing. Her melodic voice, too, sometimes moving in unison with Coleman, brought a clarion intensity that remains unique in his output. In her own work, Allen often sought to broaden her reference points and sonic palette, featuring the Atlanta Jazz Chorus on Timeless Portraits and Dreams (2006); the electric and acoustic guitar of Living Colour’s Vernon Reid on The Gathering (1998); and tap dancers Lloyd Storey, on Open on All Sides in the Middle, and Maurice Chestnut, on Geri Allen & Time Line Live (2010). She shed light on the legacy of the still underappreciated pianist and composer Mary Lou Williams on Zodiac Suite: Revisited, credited to the Mary Lou Williams Collective, with bassist Buster Williams and drummers Billy Hart and Andrew Cyrille. Allen is survived by her father; her brother, Mount Allen III; and three children, Laila Deen, Wallace Vernell, and Barbara Ann. Her marriage to the trumpeter Wallace Roney ended in divorce. Along with a Guggenheim Fellowship, in 2008, Allen received the African American Classical Music Award from Spellman College, and a Distinguished Alumni Award from Howard. In 1995 became the first recipient of Soul Train’s Lady of Soul Award for jazz album of the year, for Twenty-One. The following year she became the first woman to win the Jazzpar Prize, a highly prestigious Danish honor. Over years of seeing Allen live, it’s striking to recall her at Caramoor in 1994, when she shared a solo piano bill with the great Kenny Barron. She parsed Monk and other material, including her own, and encored in a riotous two-piano showdown with Barron on “Tea for Two,” dealing impressively with a tune of older vintage. Years later, at the Village Vanguard, she led an engrossing quartet with Hart, bassist Robert Hurst, and percussionist Mino Cinelu. In terms of the unexpected, however, don’t for a moment discount Allen’s 2011 Christmas album, A Child Is Born. She plays not just piano but also Farfisa organ, celeste, clavinet and Fender Rhodes, taking “Angels We Have Heard On High” and “O Come, O Come, Emmanuel” to harmonic places they’ve likely never been. Even at its most searching, complex and sonically novel, there’s a contemplative quality in the music that makes this a worthy listen as we mourn Allen’s untimely passing. 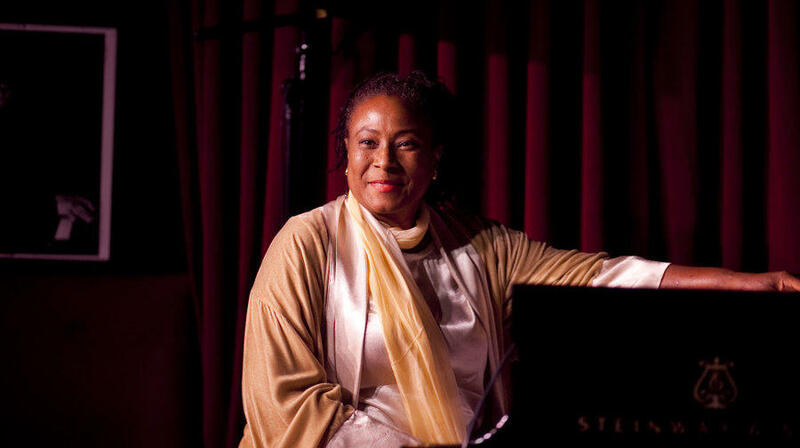 The great pianist, composer and educator Geri Allen passed away yesterday from cancer. In 2010, Allen sat down at our Steinway B for an intimate solo studio session and conversation with former host of The Checkout, Josh Jackson. Geri Allen plays solo in a WBGO Studio Session. Recorded 7/7/2010. Three women from Sing The Truth! 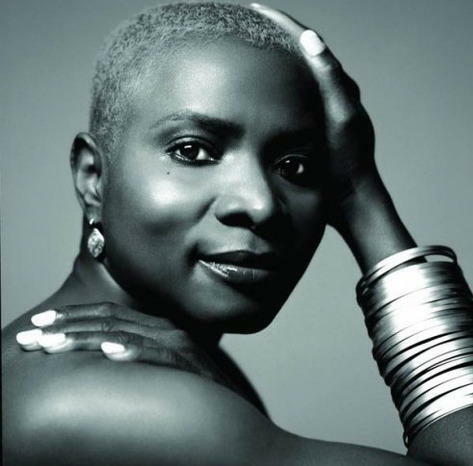 -- Angelique Kidjo, Lizz Wright, and Geri Allen -- visited our studio to talk about their performance at NJPAC. Michael Bourne said it was one of the best live radio experiences he's ever had at WBGO.